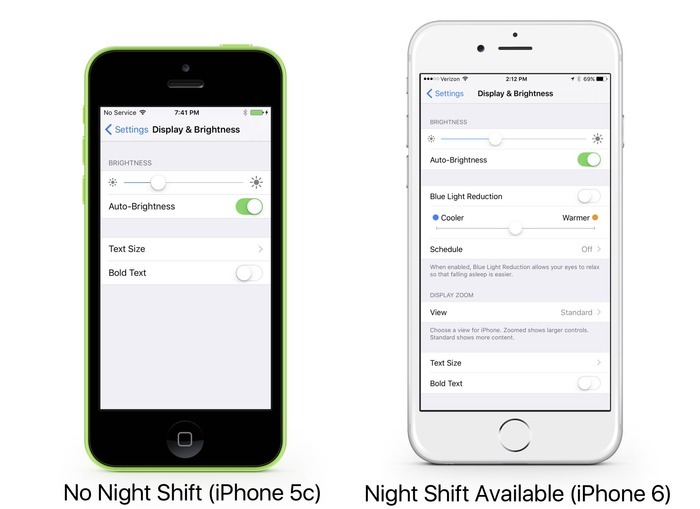 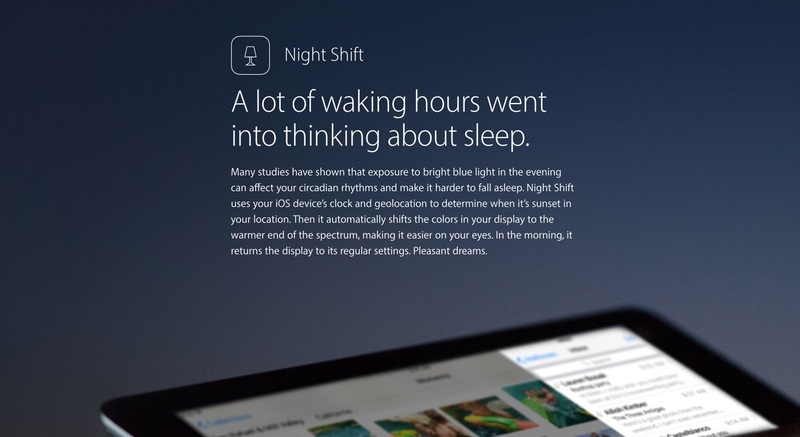 ブルーライトを軽減するiOS 9.3の新機能「Night Shift」はApple A6など非64bitプロセッサを搭載したiOSデバイスでは動作しないもよう。 | AAPL Ch. 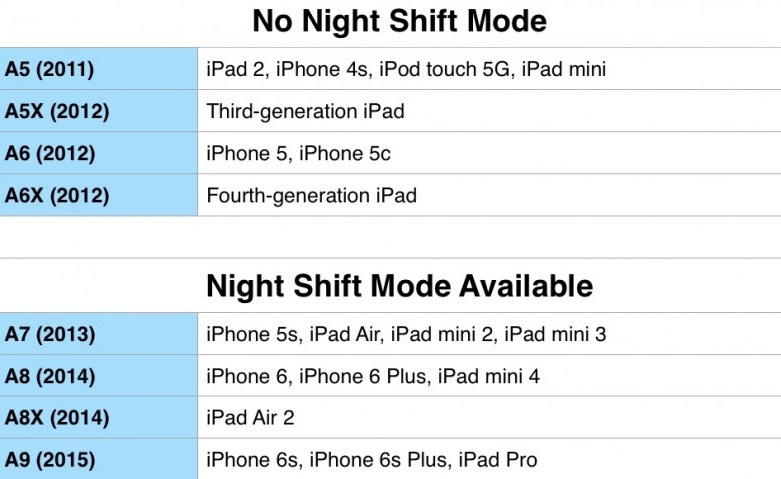 Update: The Night Shift feature appears to be limited to iOS devices that have a 64-bit processor. That includes the iPhone 5s and later, the iPad Air and later, and the iPad mini 2 and later.